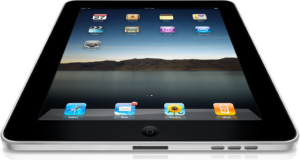 As everyone around the world knows, the iPad is here and its received mostly positive reviews. 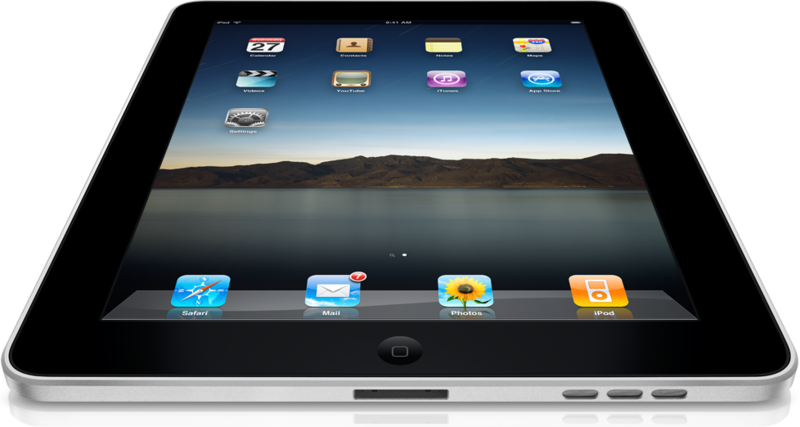 I love all things Apple and I’m sure I would use the iPad all the time. I wanted to rush out and buy one immediately. Actually I wanted to order it the moment that it became available to order. But I didn’t. And here’s why. I don’t have the available cash and don’t want to go into debt for a fun new gadget. At least not yet. I love my iPhone and use it constantly. The iPad would duplicate most of the things I use the iPhone for. But is it really worth $500 plus to be able to read my news feeds on a larger screen while watching TV? Possibly. WiFi only would be great at home, but what if I venture elsewhere? 3G would come in handy and will soon be available. But do I want to spend another $129 plus $15 – $30 a month in order to have that capability which is already built into my iPhone? Apple is known to change things 3 to 6 months after the release of a new product. Depending on demand, I suspect prices will either go down by Xmas or else you will be able to get the WiFi 3G models for the same price as the WiFi models today. And possibly the WiFi only models will drop in price. The apps are in flux. For now the pricing seems pricy. By the end of the year they may be cheaper, again depending upon demand. And I hate the thought of buying apps for the iPad which I already own on the iPhone. I’m planning to buy the next generation iPhone. Did I mention I love my iPhone? The iPhone has built in GPS and I already pay for a 3G plan. And so far I can still read the little type on the screen. I can take my iPhone to the gym and read books or RSS feeds or whatever while on the StairMaster. I’d hate to take an iPad to the gym and possibly damage it. Plus without 3G the iPad at the gym would be just an expensive ebook reader. I don’t play games and I don’t subscribe to NetFlix. The next generation iPad will be better, faster, cheaper and really, really cool. By then this original iPad will seem like old news and I’ll be able to get a shiny new toy without regretting already buying one a year earlier. So unless I come into a lot of extra cash or win an iPad, I’ll probably be waiting for the next generation. It won’t be easy, but I’ll try to be strong.